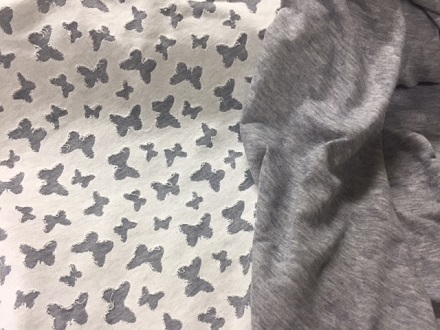 60″ wide 100% Cotton reversible knit burnout grey with ivory burnout butterflies on the reverse side. Would be adorable for infant and children’s wear. Lots of options for apparel to adorable pillow, blankets no end to the creative sewing using this one of a kind designer piece.